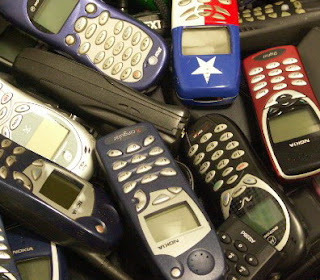 Do you have any old cell phones sitting around? Most of us have one or two old ones stashed in a drawer. Well, City Council Member Bill de Blasio is helping collect them for the Phones for Life program. Donated cell hones are given to senior citizens and victims of domestic violence, who can use them for free, including to make emergency calls. You can drop off the phones at Mr. de Blasio's office at 2907 Ft. Hamilton Parkway between 10AM and 5PM from Monday through Friday. For more information you can contact tagray1 (at) gmail (dot) com. It's a great program, which makes it very easy to do a good deed with something you don't even use anymore. The donation, of course, if tax deductible.